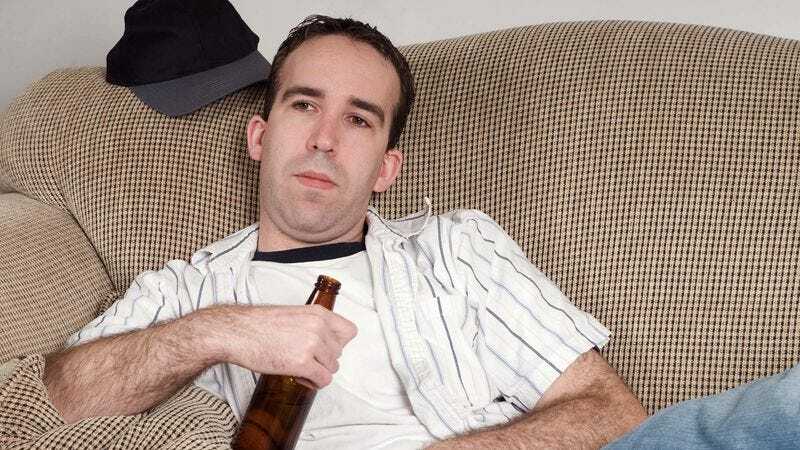 NORFOLK, VA—Cracking open a beer and settling into his couch Saturday night, local man Martin Burfette, who had no previously scheduled plans for the evening nor invitations to attend a social gathering of any kind, confirmed that he was simply too exhausted to leave his apartment. “I’m pretty beat; think I’ll just kick back and stay in tonight,” said the socially bereft 32-year-old, who decided that, “after the week [he] had,” he would simply order takeout, watch Netflix, and fall asleep, a course of action that was essentially the only option available to him. “You know, I put in a lot of work over the past few days, so why shouldn’t I give myself a break and relax? I could really use a little me time.” Sources confirmed that Burfette leapt up instantaneously to grab his phone at the sound of an incoming text message.